Every year, faculty and student innovators make valuable discoveries that could help save and improve lives. Getting those discoveries to patients can prove enormously challenging. 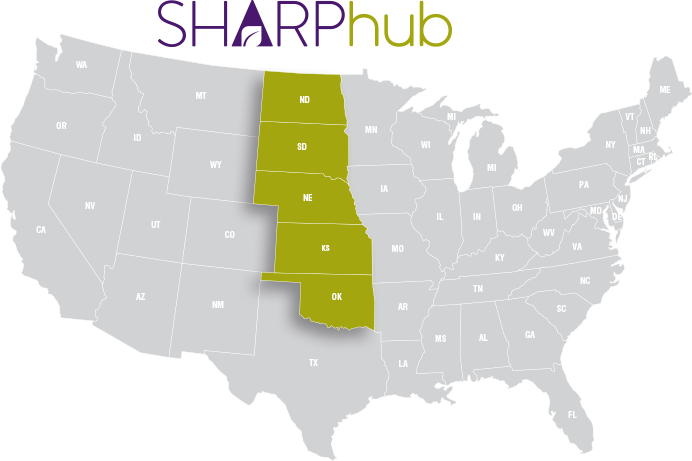 Created in 2018, the Sustainable Heartland Accelerator Regional Partnership (SHARP) Hub helps fast track early stage science and biomedical technologies into startup companies to develop technologies into products and services. The innovative technology transfer Hub collaborates and shares resources and best practices with partners in a five-state region — Kansas, Nebraska, Oklahoma, North Dakota and South Dakota.